You can find Michelle here and here. Everywhere! But mostly when I’m not currently looking. 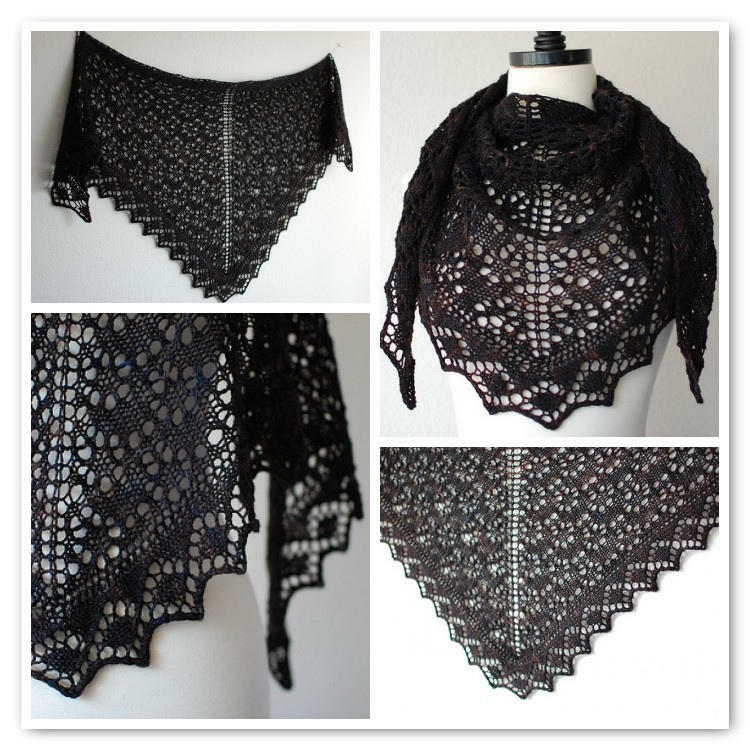 Knitting lace, specifically the rhythm of knitted lace. I design accessories with one skein luxury yarns so most of my size ranges are determined by the size of the hank of yarn. There’s something beautiful about a finished item that comes from only one skein of yarn. At the end you feel like you’ve played a trick on the universe by creating something concrete out of what is universally held as not enough yarn. I do my best to keep blinders on when it comes to the work of other designers. When I do look I tend to be dazzled by the wit and creativity of others and usually come up feeling inadequate. I’m irritated by the expression. I am formally trained as a physicist and I hold a graduate degree. I find that it takes more time, effort and thought to make something look simple than it does to express the same idea in a complex form that no one can understand. If no one can knit your dizzily brilliant but complicated pattern, you haven’t communicated your idea in a way that will cause it to outlast you. I knit all my own samples as part of my pattern writing process. 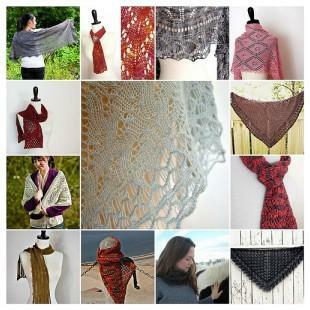 I am very lucky to have a large number of test knitters. My successful test knitting/pattern testing relationship developed organically on Ravelry. My test knitters have become my friends and acquaintances. A test knitter is presented with a set number of Fickle Knitter patterns after they complete testing of a new pattern as compensation as well as the pattern and item they test knit. 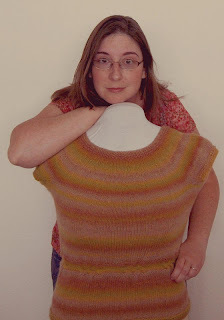 I prefer that my testers work from stash yarns and I give them the flexibility to finish the projects on their own. They must be self motivated. I use both a tech editor as well as pattern testers because I want to create the best patterns possible. I have a trusted friend who I recommend as a sample knitter for yarn companies and knitting shops. I am often asked for sample knitting and there are just not enough hours in the day for me to take sample knitting for other businesses when I’m so busy with my own. The sample knitter relationship works out well because the shops and dyers have access to knitted samples and my time is use to focus on business tasks. I do have a business plan. 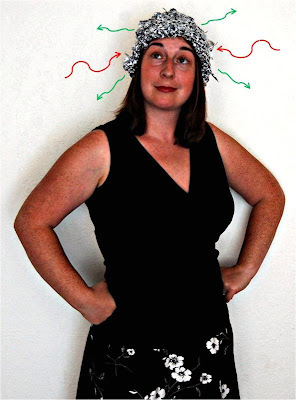 When I started my business in 2008 I painstakingly wrote out the vision I had for Fickle Knitter Design. And about every six months or so I reevaluate where I am currently and where I want to go. I forecast and make plans for at least one year into the future for my business. This being said my plan is always in flux and I rarely end up where I thought I would go. One of the most important aspects for my business is adaptability. Particularly since so many knitwear designers are forging ahead in the digital frontier. We are pioneers and require a great amount of flexibility because our marketplace is constantly changing. Looking back I am still inspired by my initial plan with new ideas and a perspective that I didn’t possess in the early days of my business. I consider Elizabeth Zimmermann and Vibeke Lind to be my very first mentors, in the early days of my first attempts at knitting via their books “Knitting without Tears” and “Knitting in the Nordic Tradition.” As a designer and business owner I’m very lucky to have been mentored by both Mary Beth Temple and Laura Crowley. I also make it a point to mentor other designers. I get many questions from designers in various stages of their careers and I try to encourage them and help them as I have been helped and encouraged over the years. I did not have a prepackaged business model to follow. Since the start of my business I’ve read books exhaustively on topics like marketing, business, and advertising. I started out reading David Ogilvy and used his book recommendations in “Confessions of an Advertising Man” as a jumping off point to find other reading material. I also treat my online business as a Service based instead of Goods based industry and that’s the topic I’m currently researching. The two books I’m reading now are “Marketing Services” by Leonard Berry and “The Marketing Imagination” by Theodore Levitt. Another book that has a lot of value in deciding on how to run a craft based business is “Creative Cash: How to sell your Crafts, Needlework, Designs & Know-how” by Barbara Brabec. Although the book was written over 30 years ago it still has insight that can be applied to craft business models today. I wouldn’t have a knitting pattern business if it weren’t for the Internet. In fact I’ll go one further and say that I wouldn’t have a business if it weren’t for Ravelry. It wasn’t until the genesis of the website that I realized that pattern writing is accessible and something that could be done. Ysolda Teague and Rosemary Hill were the first two pattern writers who captured my attention as wildly successful and prolific pattern writers. 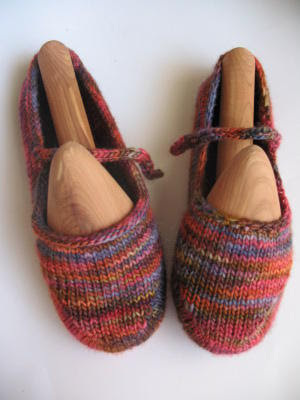 Both women have an avid following of devoted knitters and healthy businesses. They were the pioneers that showed that a successful pattern business could exist and grow via the Internet. I was always nervous about the expense of a tech editor, and so for the first year of my business I relied only on test knitters. Once I tried tech editing though I never went back. In fact I found that tech editing has so much value that I went back and had all of my original patterns edited, even those that were initially test knit only. The prices for editing are very reasonable and there really is nothing like another set of eyes to constructively make your patterns the best they can be. I find that there is nothing as effective as having a new pattern both tech edited and test knit to prevent errors from sneaking in. However these sneaky little bastards do sometimes find their way into published work. At that point you must correct the mistake, and move on about your day. Errata is something that plagues all writers, but specifically those of us who create detailed instructions for others. I was once in a class with Meg Swansen where it was discovered that an error had crept into a pattern. Meg with class and grace addressed the error and we all went on about our business. So that’s what I aim for. Not very well. When you have your own business there is no Monday through Friday, 9-5 business hour days. I am always working on something business related and I travel a lot. I try to be engaged in those precious little moments with my family but it’s hard. Owning your own business requires a lot of money, time, and sacrifice to nurture growth. A new business is much like the first few months of the life of an infant, requiring constant attention and care. I feel though that it is the right path for me because the business brings fulfillment and I’m providing a positive role model for my daughter. She sees me working at something I love and really going for it. I hope that she thinks it’s perfectly normal for a woman to own her own business and work at it just like a man would. First I cry bitter tears into my caffeinated beverage of choice. Then after about a week I dry my tears and assess whether the criticism was constructive or not. I follow my gut. If I feel deep down that a criticism was not constructive I set it aside. If I know in my heart and my gut that a criticism was valid I step outside myself and heed the advice. I have experienced more personal growth from criticism than I thought possible. We NEED criticism to grow. Hahahaha! Well my husband and I made the choice to become a one income family shortly after the birth of my daughter, Maya. We still make sacrifices to make it all work. We share a car, and we don’t buy the latest, newest, biggest gadget du jour. My business is entering its third year and although it is solvent all the money made is reinvested back into the business. I don’t get a paycheck, holidays or paid vacations. I fly coach, eat non organic vegetables and try to be smart about money. In other words I’d be living pretty lean if I expected to be supported by a business that is still in its infancy. My suggestion up and coming new businesses would be to budget in what you need to be paid when you are applying for loans and capital for your business. It may take 3, 5, or 7 years before you see enough profit to take a paycheck home, all while putting in many more hours and making sacrifices that hourly employees don’t need to take. You’ll hear no a lot before those yeses roll in, but don’t let it stop you. Be stubborn, tenacious, and knit like nobody is watching. Excellent interview! Thanks for sharing.